Shearing Metal: Mechanical vs. Hydraulics - Which is Better? When selecting a shear, many people assume that hydraulic operation is a better option as they equate it with a press brake. However, shearing is a completely different process and mechanical actuation can actually be preferable for a shear due to the following factors. Speed: Mechanical shears are faster in full cycle mode. Shock Resistant: Heavy castings and frames absorb the snap of the shearing process better than hydraulic cylinders. Simplicity: Mechanical shears have simpler mechanisms to maintain and repair making up time longer and downtime shorter. Noise: Mechanical shears are quieter as they do not have the constant running of hydraulics. Green: No hydraulic oil, hydraulic heat (requiring cooling), hydraulic oil waste, or filter waste. Variable Stroke Length: Mechanical shears must make the full cycle when shearing whereas hydraulic shears can be set to perform quick, short strokes—which is useful when shearing material that is only a few inches in width. Overload Protection: Because it's protected by a blowout valve, a hydraulic shear can stop the blade from getting into a "locked" position with the material. Basically, when the hydraulics reach the maximum PSI for the shear, a safety valve opens up and dumps the high pressure hydraulics—stopping the downward force and thus allowing the ram to be backed off and the oversize/hard/obstruction to be removed. Price: Hydraulic shears are inherently cheaper to build. Common misconceptions in shearing assume that hydraulic shears are “safer.” While hydraulic shears can be stopped in a cycled downstroke, so can a mechanically actuated system. The difference is that hydraulic shears can be automatically reversed when stopped, whereas mechanical shears cannot. 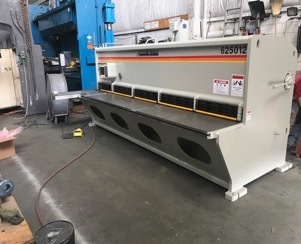 When protected by proper guarding and light curtains as necessary, a mechanical or hydraulic shear can be a great addition or compliment to your fabricating process. 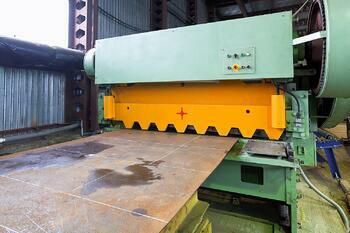 Southern Fabricating Machinery Sales has a wide selection of both mechanical and hydraulic shears. Coupled with our knowledgeable staff we can assist you in the selection of the right machine for your needs AND budget. Call us today to discuss your shearing or other machinery needs. 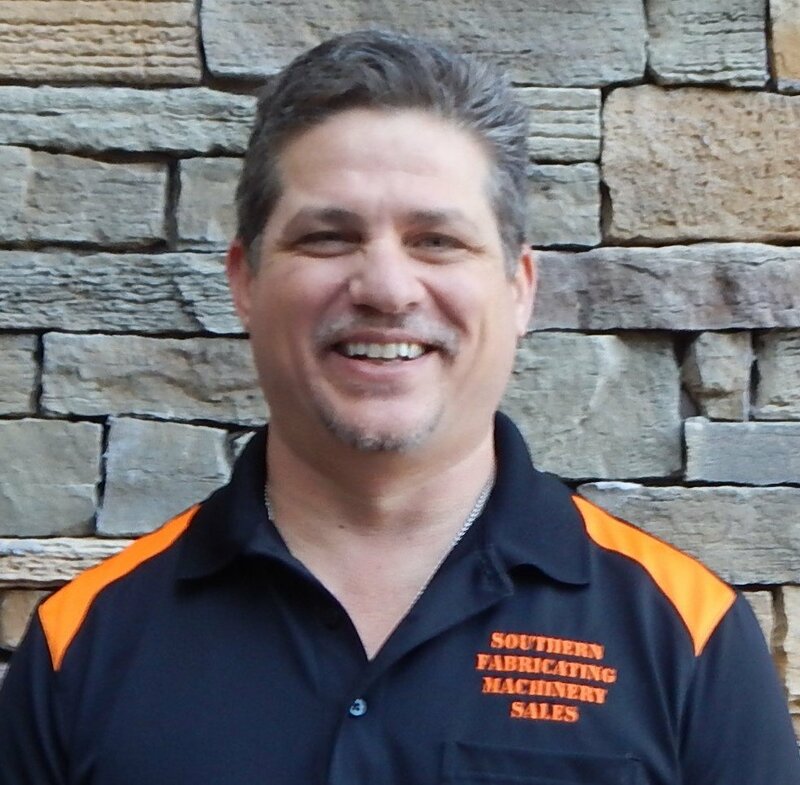 Brad's experience in machinery sales provides our customers a wealth of know-how. Having represented such manufacturers such as A&V Waterjet, Hydromat, Daewoo, OKK, Mitsubishi Dianichi and Hurco. Brad can help you pick the right machine for your needs and budget.